Delicious rolls of swordfish stuffed with currants, parsley, garlic. Involtini di pesche spada! Ask your fishmonger to cut you 4 thin slices of swordfish. You’ll need some wooden skewers about 8″ long. Serves 2. Remove the skin from the fish. Finely chop the parsley and garlic. Drain the currants. Chop the currants and pinenuts roughly and add to the garlic and parsley. Season with salt and pepper. Mix together with 1 tablespoon of olive oil. Place a quarter of the mix on to the end of one piece of swordfish and roll up. Repeat with the other 3 pieces. Drizzle with olive oil and sprinkle with breadcrumbs. Cut the onions into quarters and separate the layers. Skewer one layer of red onion onto the skewer. Push the onion down towards the bottom of the skewer. 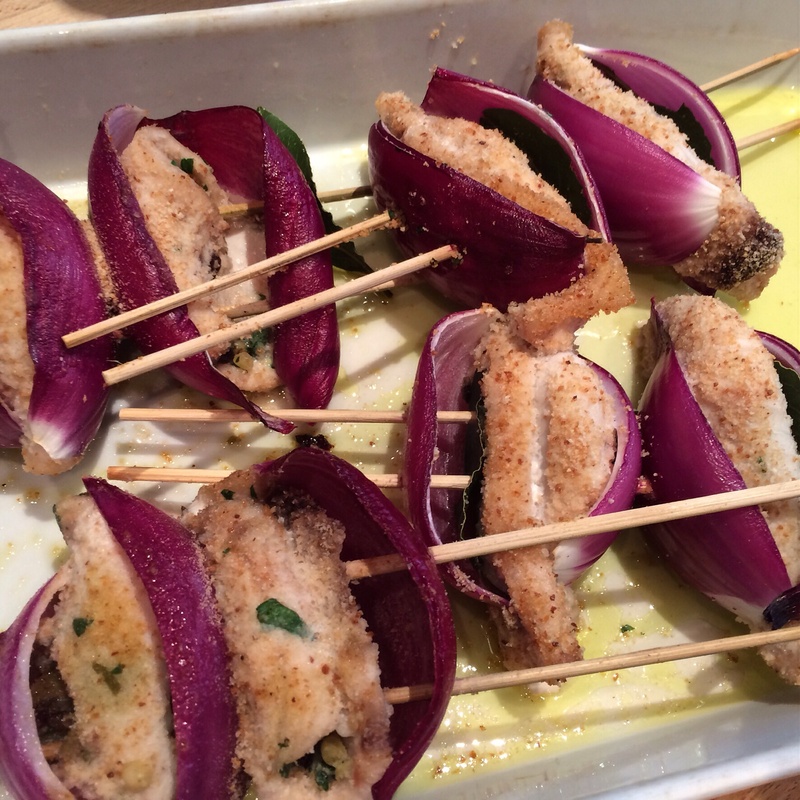 Place a bay leaf on to the skewer and carefully skewer one of the swordfish rolls. Add another layer of red onion. Repeat. There should be 2 rolls on each skewer. (Push another skewer alongside to keep everything in place. It will make it easier to turn them during cooking). Place onto a baking tray and bake for approximately 15 minutes turning once. 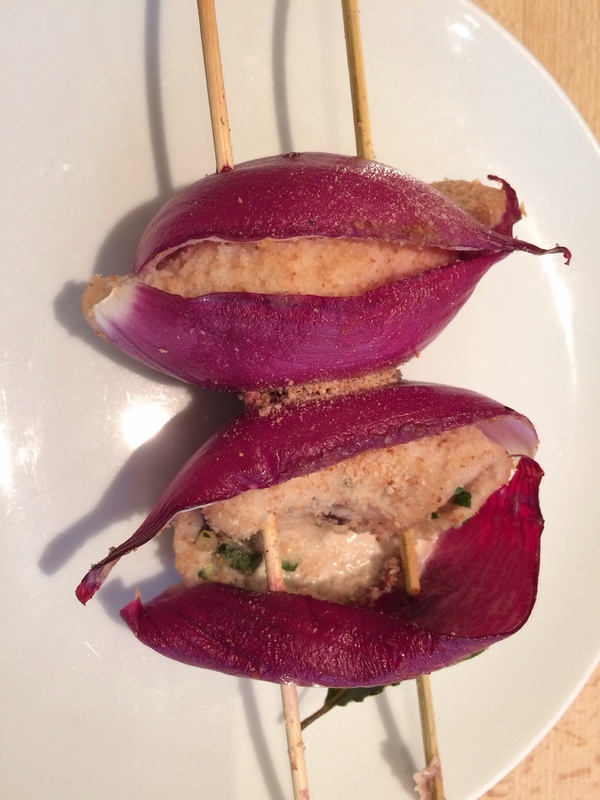 Serve on the skewers but don’t eat the red onion. It is there to add flavour and keep everything in place whilst cooking. Enjoy!